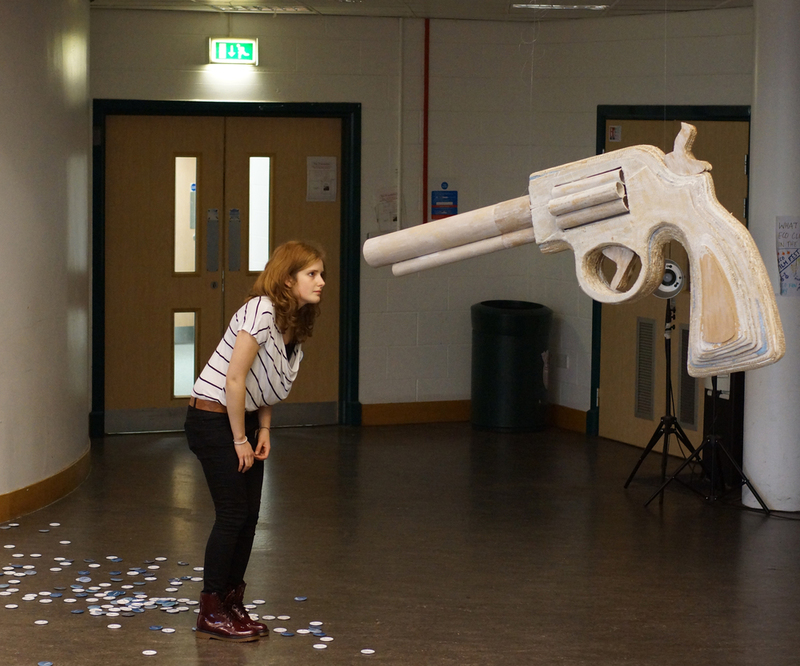 We chose to create a gun sculpture to reflect our strength of feeling against all aspects of violence throughout the world, from war to gun crime as well as domestic violence. We wanted an instantly recognisable worldwide symbol of violence so we chose a magnum revolver. We hope that people will consider the issues surrounding violence happening in the world just now instead of focusing on the way the world should be. 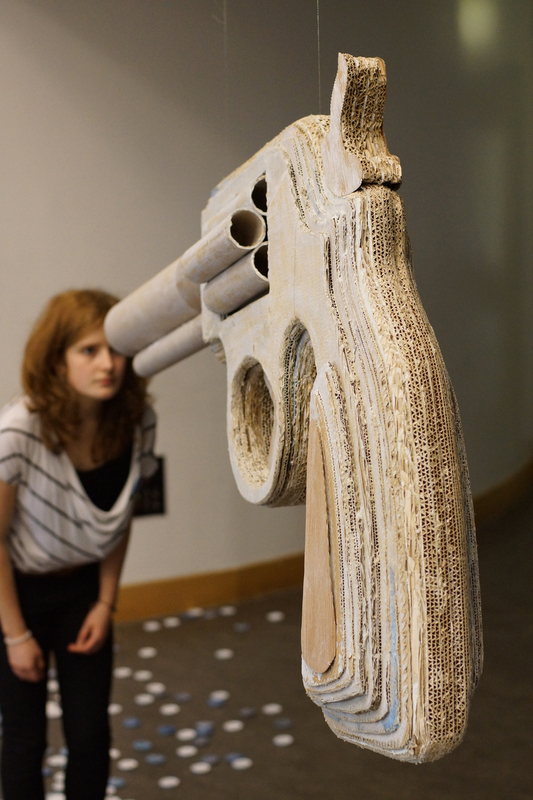 By sculpting a gun and placing a mirror in the barrel, we want to convey that a peaceful resolution can only happen once we face the violence that exists. 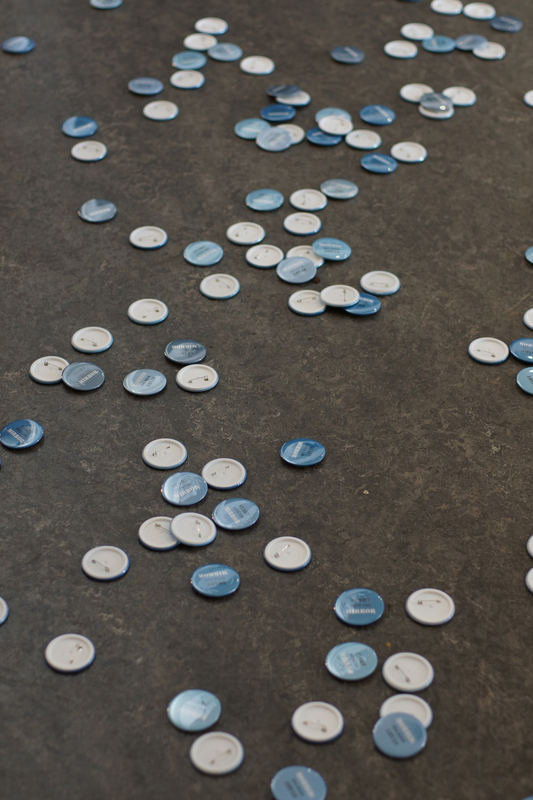 We hope that our sculpture can become more than just a piece of art but a cause for change.